The American Heart Association and the American Stroke Association are devoted to saving people from heart disease and stroke – the two leading causes of death in the world. We team with more than 22.5 million volunteers and supporters to fund innovative research, fight for stronger public health policies, and provide lifesaving tools and information to prevent and treat these diseases. With 156 local offices and more than 3,000 employees, the Dallas-based American Heart Association is the nation’s oldest and largest voluntary organization dedicated to fighting heart disease and stroke. The American Stroke Association is a division of the American Heart Association. 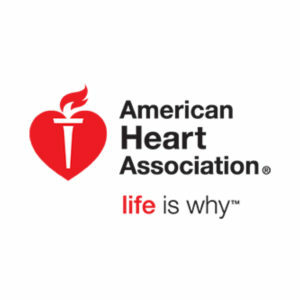 AHA’s mission is to build healthier lives free of cardiovascular disease and stroke. The American Heart Association is committed to ensuring that ALL people have access to safe places to be physically active through our advocacy for inclusive policies, development of accessible programs and delivery of extensive education for health and well-being regardless of ability. Through Voices for Healthy Kids, a joint initiative of the American Heart Association and Robert Wood Johnson Foundation, we work with communities across the nation to ensure that all children have access to healthy food and physical activity where they live, learn and play. We advocate for policies that include quality physical education, provision of healthy school foods and environments, and active transportation that includes safe routes to school policy. In our national marketing and educational efforts, we are committed to ensuring that our collateral materials connect to and represent people of all abilities. We are committed to ensuring all consumers can benefit from our information by providing accessible digital content, inclusive imagery health promotion campaigns and inclusive language in our key messages.